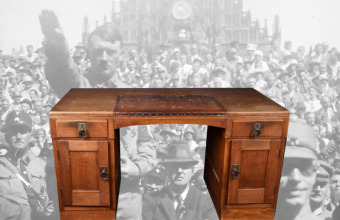 Adolf Hitler’s desk sold for $29,000 at Milestone Auctions over the weekend. While that’s considerably less than its $100,000-1m estimate, it’s a fairly solid price for this piece considering its history. This desk, a simple and sturdy piece constructed from oak, originally stood in Hitler’s apartment in Munich. He acquired it as a gift in 1929 from Elsa and Hugo Bruckman, well-connected publishers who served as his “in” with the German aristocracy. Munich was the proving ground for the Nazi party. This was where Hitler built his support in the years before he ascended to the chancellery in Berlin. 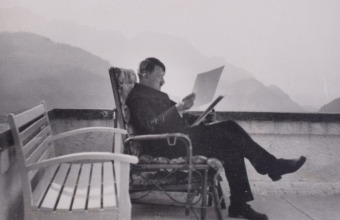 However, demand for memorabilia associated with Hitler is highest for those pieces connected with his rule and the war years. That this piece has no specific connection to any of the major events in the dictator’s life ensured it fell short of its valuation. 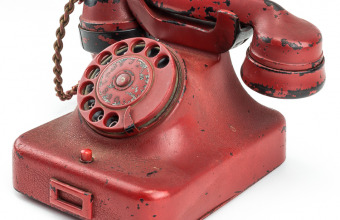 Given Hitler is perhaps the most reviled figure in history, few collectors were willing to bid this piece up. Other highlights of the auction included a collection of pistols, photographs and other ephemera belonging to a late 19th century whaler. Captain Albert Sherman commanded the Orca, which operated out of New Bedford, Massachusetts. These pieces accompanied him on his numerous journeys to the furthest reaches of the northern and southern oceans, including a short stint stuck on an ice floe. 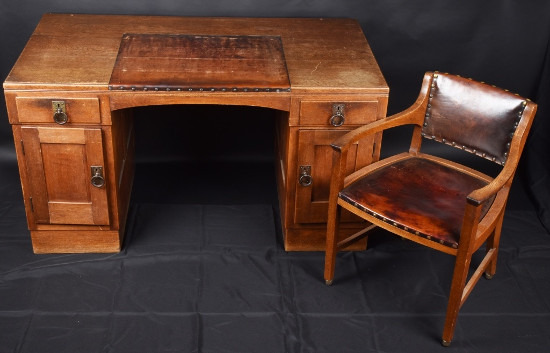 Historic sale offers Adolf Hitler’s "Million Dollar Desk"